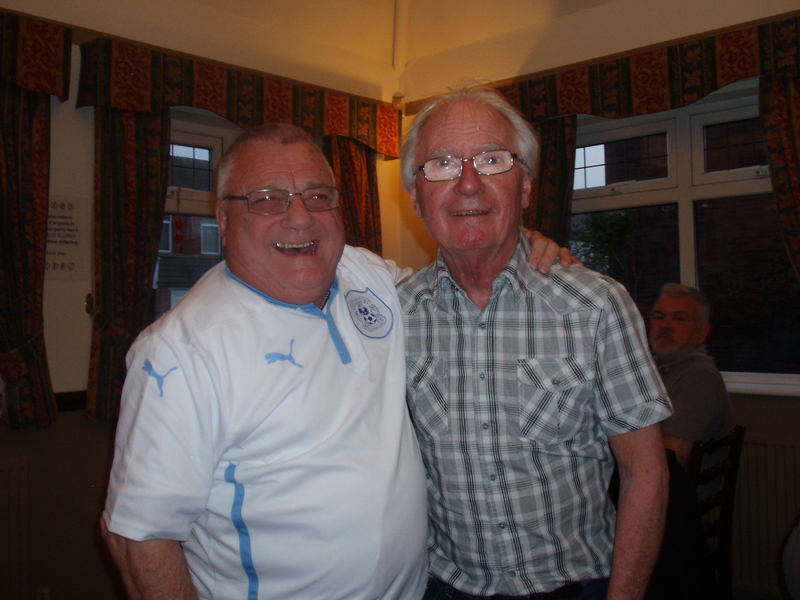 Barry (pictured with Syd Little at Fleetwood) is collecting requests for away match tickets on behalf of members. This includes SBI members if over in the UK for a game. Send your request for tickets into Barry now via the order form on the match tickets page. We will continue to obtain away tickets at the priority stage, wherever possible, for members who request tickets. If you are wanting tickets for away games let Barry know well in advance and don’t wait until they are on sale. The Ticketmaster process doesn’t always allow time for us to contact members who haven’t requested tickets. Match tickets for the Northampton, Oldham and AFC Wimbledon games are likely to go on sale before the next newsletter. Please note that we are expecting the Northampton and AFC Wimbledon games to be fully subscribed, given the small away allocation usually given by these clubs. Make sure you are on Barry’s list so he can attempt to get everyone tickets at the priority stage.